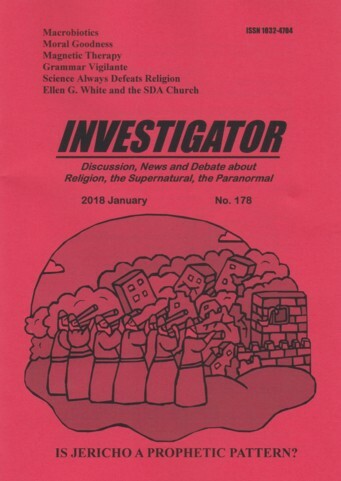 In 1969 JWs believed the speed-up had started and would continue into the 1970s until Armageddon in 1975-1976. Armageddon didn't come and JW numbers declined for several years before recovering in 1981. In 1985 the JW leaders again declared, "the time for this is NOW!" Around 2000 AD the percentage increase of JWs in many countries where educational standards are high or people are familiar with the sect slowed down, even falling below the increase-rate of the general population. Peak Publishers are the number of active JWs in the month with the highest number. Although they have increased since 1995 the increase is slower than the general population as seen in the worsening ratio figures. JWs are experiencing relative decline although Swiss JWs spent about 50 million hours preaching during those 21 years! Evidently, "NOW" in 1985 to 1996 for the timing of the final pre-Armageddon speed-up was again false! Undeterred by their falsehoods the JW leaders merely wait until defectors who left the sect out of disappointment have been replaced with new recruits who don't know about previous prophetic chicanery. They then re-apply or re-use the same Bible verses. Not only does acceleration in preaching activity and making conversions indicate the world is "at the brink" of Armageddon, but so does deceleration or slow-down. In the years around 1940 the word "Armageddon" appeared about 300 times in The Watchtower during each year along with constant reminders of its nearness. Such intensified propaganda accelerated the influx of new converts despite the claim that the work was "about done". When the bans on JWs in Europe imposed during World War II were lifted JWs became known as "the fastest growing religion". Rutherford's successor as leader of JWs, Nathan Knorr, employed the same tactic. Nathan Knorr was evidently copying Rutherford's tactic of interpreting the slowdown as implying Armageddon is near, knowing this will get things moving again. The main theologian of the sect, Frederick Franz, also got things moving again by calculating that Armageddon should occur in the mid 1970s, and also with his analogy (discussed above) of the Israelites marching around Jericho. 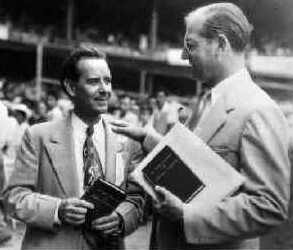 The two main leaders of JWs from the 1940s to 1970s, Fred Franz (theologian) left, and Nathan Knorr (president of the Watchtower Society) . Photo from: New World Society Assembly of Jehovah's Witnesses 1953. Whenever there's a new announcement of "it is now" most JWs don't realize it's been said before and think the words are profound, new, and spiritual. Old JWs who remember previous occasions tend to keep quiet because to criticize would get them sidelined or even "disfellowshipped"! Generally speaking, when the preaching and converting goes well the JW leaders try to accelerate it further by citing Isaiah 60:22 and claim "ït is now". When things slow down too much they suggest the "witness" work is finishing with Armageddon to follow. Either way whether up or down Armageddon is imminent, and this re-energizes the followers.